Australian architect Glenn Murcutt on drawing by hand. A while back, when I taught art in a high school, I conducted an experiment in moving lines from the paper into the air. In the library, we researched and made line drawings of insects and other small creatures. The next day, using wire and pliers, we manipulated the lines in space. It was fun! The unclaimed 3D line drawings ended up on my mantle at home. I appreciate their embodied energy, and their economical structural integrity . Recently, I obtained a 3Doodler 2.0, a device which enables one to create lines in the air using molten ABS plastic, the stuff of Legos. the rate of the material’s cooling. the variable speed and thickness of the material’s flow from the instrument tip. the strength and plasticity of the material. My first efforts: pyramids. I’ve got a long way to go. I look forward to making some objects. Perhaps they will be models of conceptual products. As likely, they will be one-offs. Or is that ones-off? Feel free to share the content of this posting, but please provide a link back to 2H Pencil. The Lowdown on Longhand: How Writing by Hand Benefits the Brain. “My Catholic school third grade teacher was extremely tough on me. Her biggest gripe was my handwriting, which looks more like an EKG scan than penmanship. For years, I harbored not-so-fond memories of her, but now I know that her strictness about penmanship was actually helping my brain develop. Recently, scientists have shown that longhand writing benefits the brain. Today, cursive writing is becoming a lost art as note taking with laptops becomes more and more prominent in classrooms. But what we are losing is much bigger than a few scratches on a page — we are losing a robust way of learning. There has been much debate on the use of laptops for note taking in classrooms. The pro side sees laptops as an efficient way of collecting and storing information. The con side sees laptops as an opportunity for distractions and multitasking. What’s missing is an understanding of how taking notes by longhand influences the brain. Recent studies have shown that students taking notes with laptops performed worse on conceptual questions than the students taking notes by longhand. In short, they had the information on their computers, but did not have an understanding of that information in their brains. So in this age of technology, I’m suggesting that students take notes with paper and pen. It’s a crazy idea, but hear me out. When students take notes with their laptops, they tend to mindlessly transcribe the data word for word, like speech-to-text software. But taking notes verbatim is not the point. What is lacking in their note-taking-by-laptop is the synthesis, the re-framing, and the understanding of the information. Students that transcribe with laptops have shallow connections to what’s being presented to them. However, those who are taking notes by hand are processing the information and representing it in a way that makes sense to them. They are learning. Now, I’ll be the first to say that longhand writing is so 19th century. But we need to answer a question: do we want students to have a deep or shallow connection to the information we’re giving them? While we live in a world of short sound bytes where news is thrown at us unprocessed, this should not be the mode for schools. In the 21st century, the ability to connect knowledge in new ways is more important than the knowledge itself. So students with deeper connections to information can link it in new ways — they can create. All this begs the question of how we can incorporate longhand in a digital age. What about a daily notebook, written by hand? A lost art in the world of science is the lab notebook. In it, scientists write down observations, impressions, and all the variables and outcomes of an experiment. If you are teaching STEM classes, might I suggest that you resurrect the lab notebook and have students personalize it? Give them assignments where they have to hand-draw pictures of what they see and what they predict. Let them figure out how to visually represent these things — without digital pictures, by the way. The data says that taking images with a camera does not improve one’s memory either, so these notebook entries must be written or drawn. Skill doesn’t matter. What we are fostering are experiential links in a child’s brain, and one of the best pathways is through their fingers. If you are not teaching STEM classes, have students carry a personal notebook in which they write down observations and draw things by hand on whatever topic. We are trying to create more connections to information, and developing fine motor skills along the way. If you have a classroom with lots of technology, try to integrate note taking. Often when I give my PowerPoint slides to students, I pass out a version that doesn’t have all the information that students are seeing on the screen, which means that they need to fill it in by hand. And when I glance over their notes, I see how their work doesn’t always look the same. This is great because my students are doing the most important thing we can teach them — they are learning how to teach themselves. Blog re-post courtesy of Ainissa Ramirez. 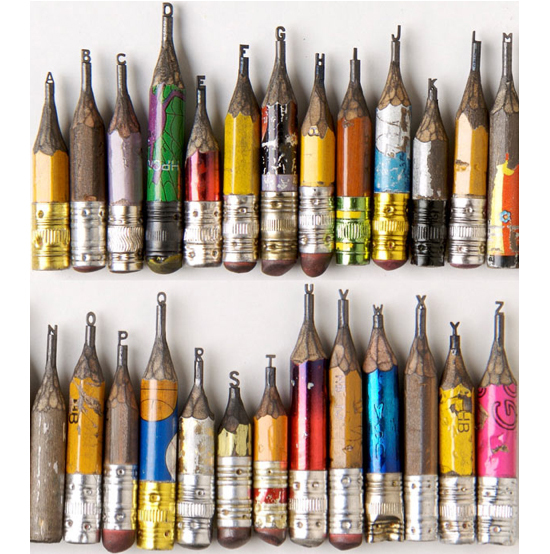 “Pencil Alphabet” image courtesy of Dalton M. Ghetti. In the 21 months since I posted ”Why I Prefer Using a Pencil” on 2H Pencil, technology has marched on. We’ve been through slightly more than one cycle of the phenomenon described by Moore’s Law, that integrated circuits double in performance every 18 months. Devices have gotten smarter and smaller and more connected. BIM, 3-D modeling, 3-D printing and the Cloud are the current darlings of architectural office technology. In this time period, I’ve continued to think about my relationship to technology. Rather than classify myself as a “tech geek” or a “non-tech geek”, I am, simply, VERY selective about the technology I adopt and use regularly. I prefer a car with a stick shift, because I like to feel the workings of the engine. I prefer not to have a phone on my person at all times, because it feels intrusive and distracting. I prefer to have GPS available when I am on the road. I still prefer using a pencil when it comes to drafting. For a while in my career, I was in sync with my professional peers with regard to architectural office technology. And when offices began to replace manual drafting with CAD, I learned the fundamentals along with everyone else. But by then, I was more involved in the management than the production side of projects; at that time, CAD was used strictly for production of construction documents. So I used a red pencil on printouts more than I sat at the Microstation. I was not in the habit of using CAD when I started my own firm twenty years ago. Laura Kraft • Architect is intentionally a one-person firm, structured so that can follow my preferences as I see fit. As a solo practitioner, I have no need for in-house team coordination/collaboration/sharing. Processes and findings are all stored in my head or on paper, or as digital files in Word, Excel, WordPress or ArchiOffice. In addition to these technologies I do use, I’ve got an iPad on which the mail, web and portfolio apps are the most useful for my architecture practice. However, I find that in the course of a day, I still prefer a notebook to a note-recording app. I’ve got Vectorworks and Sketchup on my office computer, and can get around both programs. I use them on rare occasions when they can do something that the combination of a pencil, an enlarging & reducing copier, a scanner, a digital camera, and/or a quick chipboard model can’t do. As mentioned in my first post, for the scale and one-off character of custom residential design, the focus of my practice, I believe manual drawing is a viable and appropriate tool. Hand drawn/drafted Pre-design and Schematic drawings are perfectly expressive, informative, loose and evocative for clients’ needs. Custom residential construction documents do not necessarily require the extreme precision available and inherent in CAD. For me, some significant points against CAD are these: in my office, there is no IT department except for a portion of my own left-brain. When glitches occur, as they do according to Murphy’s Law, it’s incumbent on me to figure them out and fix them. Problems are eventually solved, but at often at too high a cost of time and aggravation. Add to this the necessary, frequent, and expensive upgrades to keep the system viable. Sometimes, advanced technology can take more than it gives. However, when an un-filled need arises, I can enthusiastically embrace a high-tech approach, if it holds a workable solution. As an example, in the past 7-8 months, I have given free rein to a strong artistic impulse, which has expressed itself as digital art, created with Photoshop Elements, and then printed on a high quality printer. The process I have chosen to work with would seem to fly in the face of my hands-on proclivity. This is a primary reason I currently make use of a digital process: the first image below is an oil painting I started over 30 years ago, reworked numerous times, and never finished. Re-working the gradients led to a loss of freshness and luminosity, which I desired. You can see that the multiple layers of paint have begun to slough off. I never gave up on wanting to resolve this image. There was something about the rotation of forms, the gradients, and the ambiguous relationship of foreground to background that intrigued me. The second image is a recently created digital version. 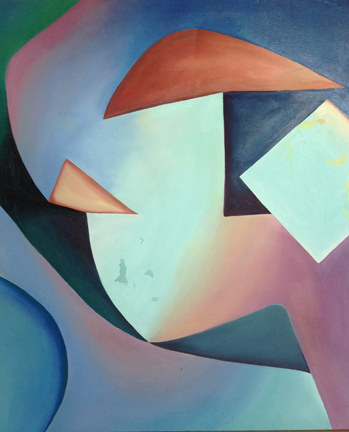 With the computer, I was able to try many versions of the composition, adjusting the characteristics of the gradients, the colors, and the forms in a relatively short time interval. The Elements program allowed a range of explorations that were not within my grasp with the paintbrush. After 30+/- iterations, I came to a resolution that feels right to me. I don’t think that the manual process would have ever been the way to work out the problems in this painting. I discovered an ironic reversal of the architectural “tech geek” ethos. In architecture, technology such as CAD, BIM, and 3-D modeling are embraced and preferred as predominant tools, whereas hand-drawing and manual processes are seen as oddities/novelties (though much appreciated by contractors, I find). However, in the art world, digital art is often stigmatized as less authentic than, and inferior to “hand-made” art. As a category, it is commonly excluded from calls for work in competitions, awards, shows, etc. Now I’m in the position of, on one hand, extolling use of the pencil for my technical drawing (no longer a conventional method), and on the other hand, extolling use of the computer for creation of my art images (also a non-conventional option). This apparent contradiction is, in fact, consistent because these choices, and all of my technology choices, are based on evaluation of how the pros and cons of each tool adds up for me. I hold that technology is best when it serves unobtrusively as a means to an end. When I find a tool that improves my process, I embrace it. When I find a need that can best be met by some new form of technology, I use it. If a tool impedes my process, I reject it. If some new gadget or program fills a need that I don’t have, I pause and reflect; adoption of such things can create a need where there was none before, and then there is no going back. So in these instances, my tendency is to resist the seduction of “the next new thing,” in order to keep life, architecture and art as simple and uncluttered as they can be. All Images courtesy of Laura Kraft. Feel free to share any of these copyright-protected images, but please provide a link back to 2H Pencil. What do you think? I invite your comments. In the 13 months since this iPad app review was originally posted, use of tablets has grown to be nearly ubiquitous. The number of apps directed at architects has exploded! I’m an iPad user, so this review features apps I have tried on my iPad. Most apps are, or will soon be available on the Android platform as well. In cases where the identical app is available for both iPad and Android, I have included a green link to the Android app in parentheses. If there’s not an identical app by the same provider, there is likely to be something similar out there. For more on Android apps, please refer to articles Top Android Apps for Architects and Designers and 10 Most Interesting Free Android Apps. There seems to be an app for everything! Not all are created equal. I found that many apps offer “free” versions, but they are often barely functional. In order to be truly worthwhile, many require “in-app purchases,” (I’ll call these IAPs). I have made a note of the actual cost of the software with the addition of these. This post will really benefit from readers’ experiences and opinions. Please share what you know in the Comments section! Architects’ tasks fall into predictable phases. First, I’ll look at apps that are useful for tasks in the Pre-Design and Schematic Design phases. 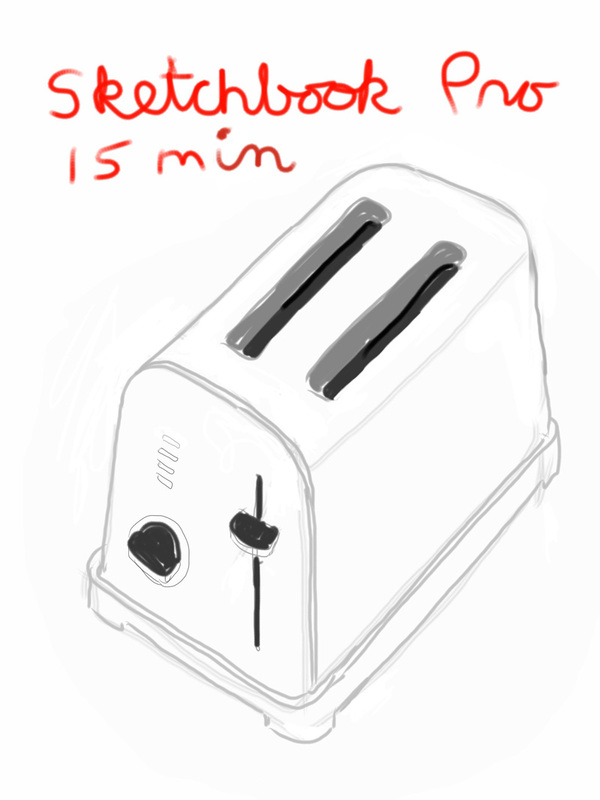 I compared freehand drawing apps by doing a timed 15-minute drawing of a toaster (why not?) with several highly rated apps, enabling me to compare features and results. I used my finger, not a stylus. I had not used any of these apps before this experiment; my learning curve is built into the 15-minute time limit. 3 apps stood out favorably. 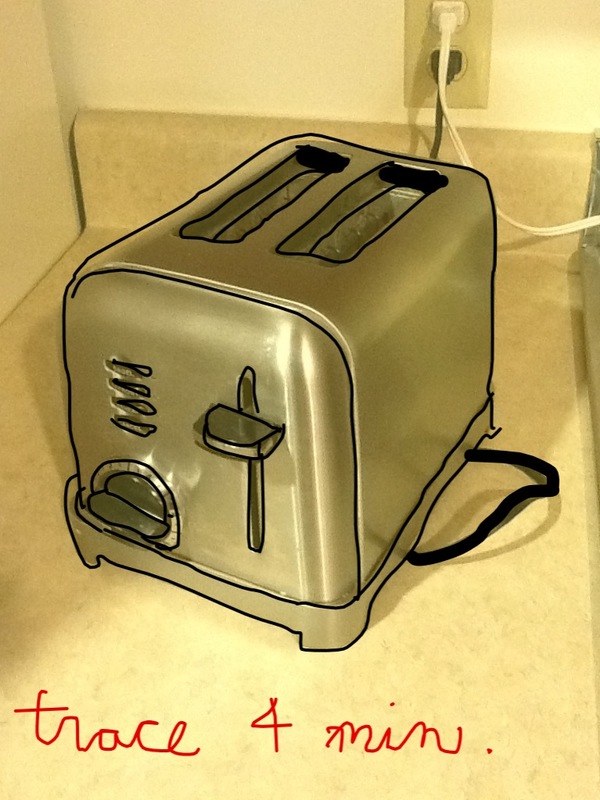 “Sketchbook Pro,” an Autodesk product ($3) (Android, $3) is versatile for drawing and graphics. It has many tool and line weight choices, infinite color choices, layers, and numerous ways to save and share. The zoom feature enabled a degree of precision. I would like to spend more time learning this app, which is not all that intuitive, but not difficult to learn. “Paper,” by Fifty Three, (free, but $10 with highly recommended in-app purchases: Mixer $2, Color $2, Sketch $2, Write $2, and Outline $2), has 5 drawing tools with limited line weight control, and infinite colors. The lack of a zoom feature limits precision. It is very intuitive, and nicely emulates drawing and applying washes. Good for loose sketches and diagrams when connectivity is of the essence. “Morpholio Trace” (free, and $1 each for IAPs, which include among others, Grids, Scale Grids, Architecture, Diagrams, Perspectival Grids, Figures: Female or Male, Axonometric Grids, Landscape, 3D Grids, and Interior Design). Trace enables you to start from scratch or take a photo or drawing from your files and overlay it with layers of virtual tracing paper. They have added an additional fine line weight, and a zoom feature. This app allows you to instantly upload your sketch to Facebook, Twitter, email, or the Morpholio cloud. “MagicPlan,“ (free, needs IAPs to be of any use. The options are: 1 Plan (PDF, JPG, DXF, HTML) $3, Unlimited (PDF, JPG, HTML, DXF) $20, 10 Plans (PDF, JPG, DXF, HTML) $20, and 40 Plan (JPG/PDF/DXF/HTML) $60, (Android, pricing structure the same). 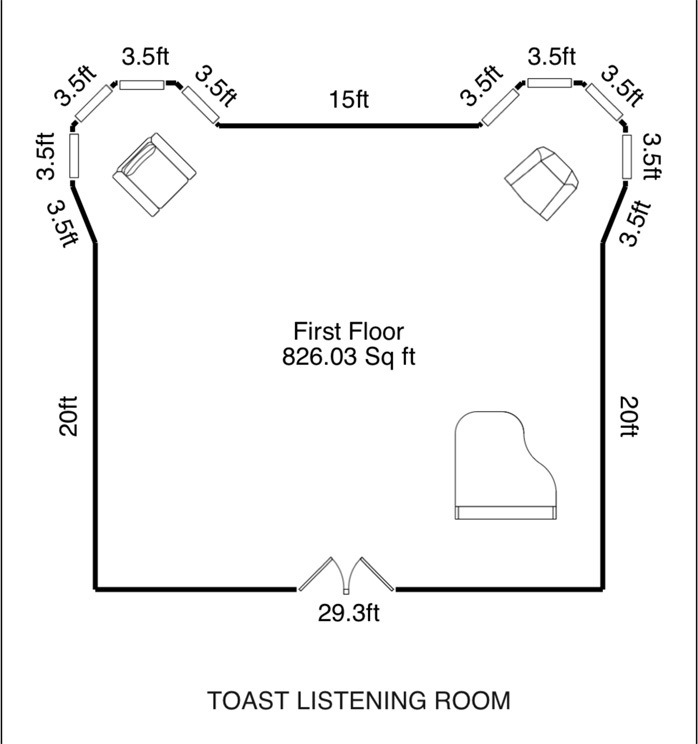 This app uses photos from which it creates measured floor plans in PDF, JPG or DXF format. “My Measures Pro,”($8) (Android, $5), is useful for documentation, either during the design process or during construction. 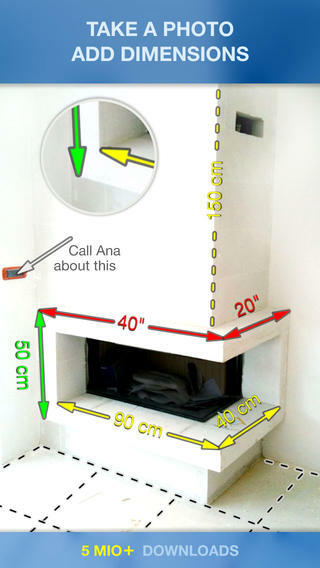 One can photograph from within the app or open an existing photo, and add dimensions, angle readings, and notes to it. The resulting image can be sent to the cloud or through email. “Total for iPad,” (free) which is designed for real estate appraisers, is simple and versatile enough to get me to a measured floor plan in a reasonable amount of time. In “Total,” project folders can contain drawings, photos (taken within the app, or brought in from elsewhere), voice recordings, and written notes. There is a detailed form for project information that might be useful. The compiled documentation can be emailed as a PDF. The interface is easy to learn and use. Dimensions and room areas toggle on and off. Notes can easily be added, as can furniture, windows, doors, (pianos!) and other common plan elements. 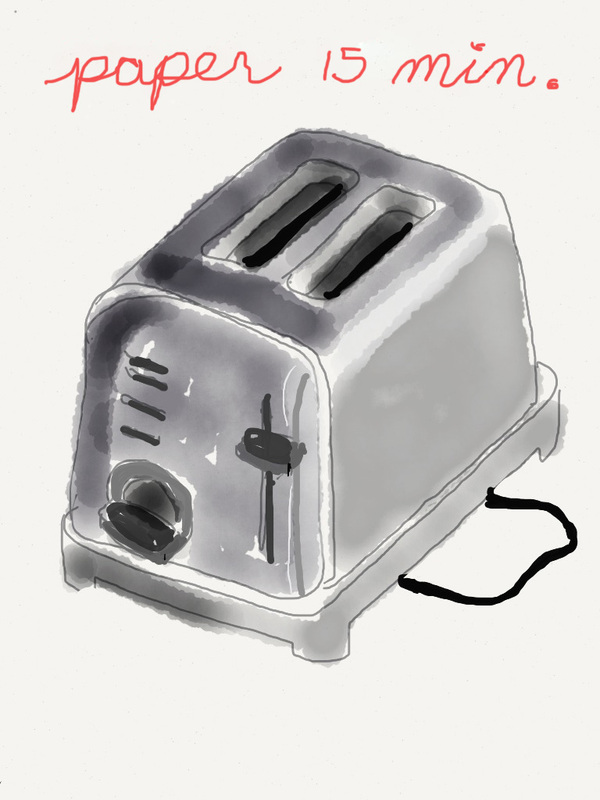 In my first use of the app, this drawing, in keeping with the toaster theme, took about 14 minutes, including my learning curve. “Snapseed“ (free) (Android, free), corrects, crops, and adjusts your photos. “360 Panorama” ($2) (Android $1), stitches together photos to make a complete panorama. See article on Site Survey, Analysis & Visualization for Architects. One day soon, I think Architectural Graphic Standards will be an app. For now, some of its components are separately available from various sources. “Design Dimensions,” (apparently free) (Android, free), is an Android-only app. “Steel Shapes” ($5) (Android $3), is similar to the big ol’ Steel Manual, which we called the Steel Bible back in the day. “Architect’s Formulator” ($10), is a growing storehouse of formulas related to electrical, carpentry, plumbing, concrete, excavation, steel design, parking areas, swimming pool design, as well as basic formulas for wind load and wind overturning force. “Pitch Gauge,” (free) (Android, free). “Clinometer HD” (free) (Android, $1). “Colorsnap,” (free) (Android, free), for matching in situ colors to actual Sherwin Williams’ paint colors. Other paint companies offer similar apps. Next are additional apps that architects can use during the Design Development and Construction Documents phases. Autodesk AutoCAD 360, (free with IAP necessary upgrades to Pro $50/year, and Pro Plus with 4x the storage capacity, $100/year) (Android, same pricing structure). This is a highly rated drafting program. Allows you to share, view, and comment on 2D and 3D DWG, DWF™, Autodesk® Navisworks®, and Autodesk® Revit® software files from your mobile device. I have not rated the following drafting apps: “GraphPadPro R3,” ($20), “CadTouch,” ($20) (Android, free limited trial version), “PadCAD,” ($15) (Android, $15), “iDesign,” ($8). Comments, pro and con, from users? Most CAD systems have available proprietary BIM apps. Some apps work across several CAD platforms. ITunes currently shows no less than 85 apps for BIM. Have you used one that you think is really good? “Formit,” by Autodesk (free) (Android, free), allows you to create and alter BIM models on mobile devices. Again, have you used a 3D app that you think is really good? These following ones are highly rated. “TurboViewer,” (free, with IAPs TurboViewer X $7 and TurboViewer Pro $20) (Android, $20). See article on Mobile CAD Viewers and Collaboration. It’s not an app, but the Arcat website is a great starting place for specs. My last addition to the architect’s app toolbox is those that are particularly useful during the Construction Administration phase. Autodesk “BIM 360 Field Mobile,” (free). Create ad update issues, reference project documents, and run QA/QC checklists on the job site, offline or online. Autodesk “Bluestreak Mobile,” (free). Track architecture, engineering, and construction project activities and collaborate. See article on 50+ Best Apps for Punchlist. “Dragon Dictation,” (free), for miraculous voice to text dictation. “Dropbox,” (free) (Android, free), for document sharing. See article on 10 best iPad apps for office productivity. “Docscan HD,” (free) produces clear, straightened-out, cropped black and white PDF, .JPEG, or ZIP images of paper documents that can be annotated, shared and/or saved. Will send multi-page scans. “Instapaper,” ($1 with IAPs for $1 per-month subscription) (Android, same pricing structure) (Android, $3), can be used to search the web and save articles offline in an attractive text format for future reference. “File App Pro,” ($5), is a file manager and viewer. A variety of documents can be organized according to size, date, or name, and then opened, viewed, edited, moved and/or shared. This solves the mystery of “Where’s my stuff?” on my iPad, and makes it a far better tool as far as I’m concerned. “Office2 HD” ($8) emulates limited versions of Microsoft Office programs. With it, I can store, open, view, edit, and share documents, including Excel spread sheets, Word documents, and Power Point presentations. They can be emailed, shared in the cloud and printed. They can cross over to the desktop. 1. App prices shown are valid for today’s date, December 24, 2013, and will probably change. 2. App developers revise, update and expand their wares, so please consider this information current as of the date of this posting. 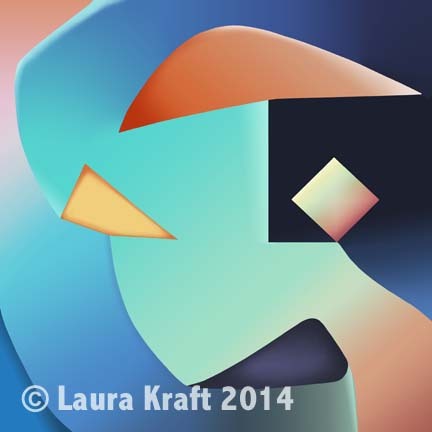 All images by Laura Kraft and app developers’ websites. I am taking a drawing class in which we sometimes work from photos, which by their nature, capture 2-dimensional records of 3-dimensional things, fixing a composition, and in so doing, eliminate several fundamental challenges of drawing. I have long believed that it is preferable to draw directly from life, and to wrestle with the illusive third dimension, than to draw from photos. But I am learning that there are opportunities in letting a camera do some of the work. Compositions can be tested, cropped and re-cropped with ease, enabling quick explorations and unexpected discoveries. A universe of subject matter can be accessed from the comfort of the studio. 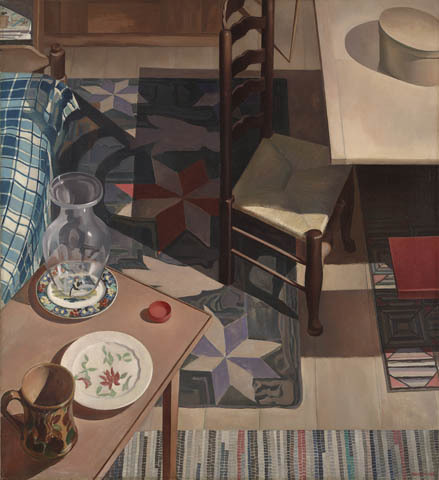 Here is a painting by Charles Sheeler that I love for its stillness, sense of space, composition, color and subject matter. The camera can be an artist’s best friend. In researching this blog post, I found that Yale Art Gallery’s website, in addition to access to its collection, includes an intriguing online magazine called “What is Art and Why Does it Matter? I am reminded that computer is a great tool for virtually visiting museums and galleries around the world. When We Work Together, What Should You Bring to the Design Process?